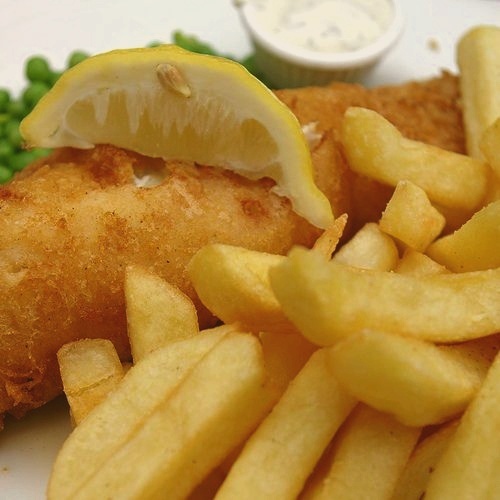 Simple recipe, good tasting and quick, served with a generous portion of freshly cooked chips! It is one of Singaporean’s favourite meal. For a real treat, make your own tar-tar sauce and fries! Easy Fish and Chips Recipe. Gently slide fish into hot oil and fry until golden brown. Drain briefly on paper towels. Serve fish hot with chips and tar-tar sauce. French fries recipe and other potato recipes. Peel and cut potatoes into even strips. Soak potatoes in cold water for 1 hour. Fry in deep fat at 325° for 5 minutes. Drain. Increase heat to 375° and fry until French fries are tender and nicely browned. Serve hot, serve immediately, and enjoy! In a small bowl, mix together mayonnaise, pickle relish, and minced onion. Stir in lemon juice. Season to taste with salt and pepper. Refrigerate for at least 1 hour before serving.